Sweet lemon cake filled with our tangy lemon curd then finished with our smooth lemon buttercream. 25% of all sales go towards lung cancer research. Heavenly white chocolate cake filled with our fresh raspberry curd then finished with a rich white chocolate cream cheese frosting. Rich chocolate fudge fills this tantalizing chocolate stout cake and is topped with a decadent caramel buttercream. This is not just spice cake with carrots. Fresh shredded carrots, chopped pecans and golden raisins baked into moist cake filled with cream cheese frosting then topped with an extra thick layer of cream cheese frosting. Rich chocolate stout cake sits atop an Oreo cookie with our classic sweet vanilla buttercream filling. The cupcake is then finished with an Oreo cookie crumb buttercream frosting. Our spin on the classic girl scout cookie. A moist brown sugar cake is filled with creamy chocolate ganache then topped with a mound of coconut icing. The icing is then covered with toasted coconut and chocolate drizzle. Moist cinnamon cake filled and topped with cinnamon and sugar buttercream then finished with a mini-snickerdoodle cookie. Our handmade graham crackers are crushed into a crust and topped with a rich chocolate stout cake. Melt in your mouth chocolate ganache adds a sweet surprise and the cupcake is finished with a creamy marshmallow frosting. 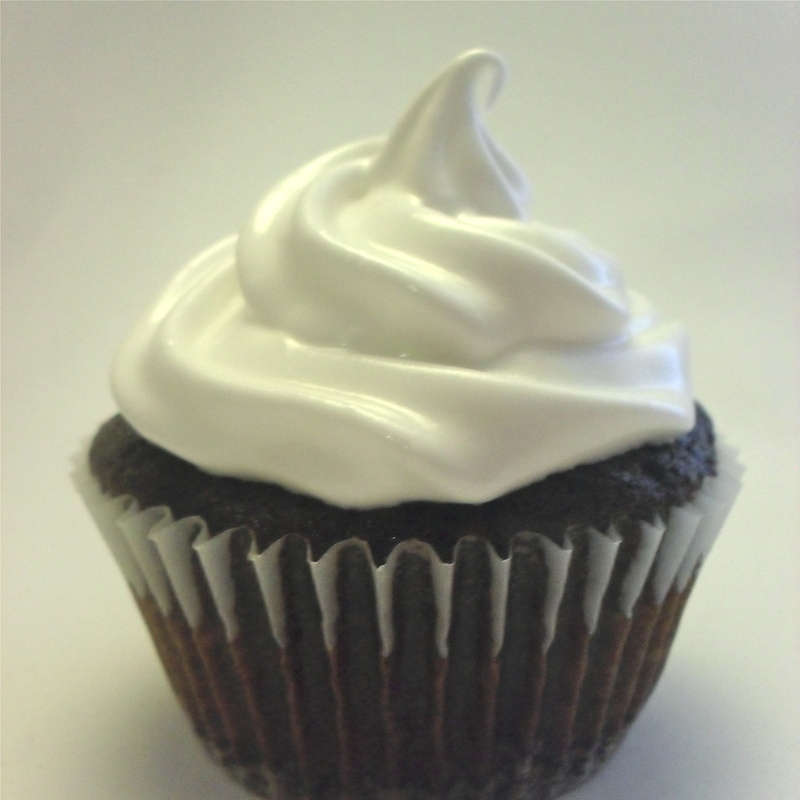 A delicious, chocolaty, rich, soufflé style cupcake with a hint of Grand Marnier baked in, then topped with sweetened Grand Marnier whipped cream. We promise, you will never want another cupcake again.